However, there are some things you should know before undergoing laser skin resurfacing. and/or antiviral medication may be prescribed before the procedure as a preventative measure. Inform your physician of all medications or supplements you are taking. Certain medications such as aspirin and vitamin E should be stopped at least 10 days prior to treatment since these medications can affect clotting and lead to post-procedural bleeding. Other medications, such as acne treatments that contain isotretinoin or Accutane, should also be avoided since these contribute to a greater possibility of poor healing and/or scarring after laser resurfacing. Smokers should stop the habit at least 2 weeks before (and after) laser skin resurfacing since smoking can hinder the healing process. Complications that could arise with tobacco usage include poor wound healing, infection and scarring. The best time of year to have laser skin resurfacing is autumn since the skin is hypersensitive to sun exposure for up to a year after treatment. During the fall and winter months, the daytime hours are shorter which limits the amount of sun exposure. Furthermore, most people spend less time outside during the cooler months. No matter what time of year you go outside, a broad-spectrum sunscreen of SPF 30 or higher should be worn daily and this is especially true during the first year. While some patients say that laser resurfacing stings, others say it doesn’t hurt. The feeling varies depending on the laser used, the depth of penetration, the area treated and the pain tolerance of a person. The sensation of non-ablative laser treatments is commonly referred to as feeling like a rubber band snapping against the skin. With this treatment, the laser passes through the skin without removing any layers. Therefore, only a topical numbing cream is used prior to treatment for discomfort. 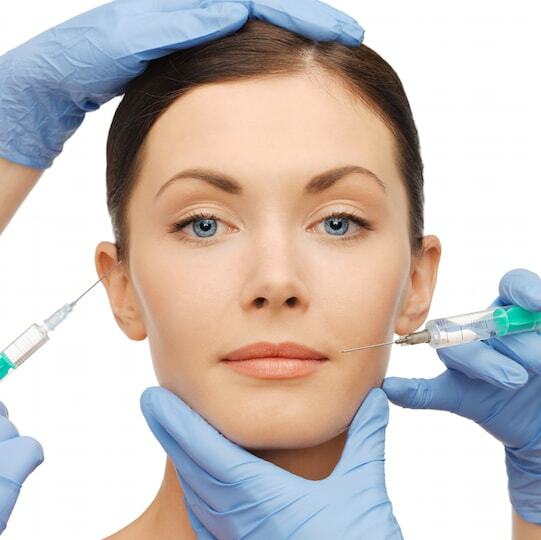 Ablative laser treatments require injections of local anesthetic or IV sedation, for patient comfort, since some of the outer skin layers are removed. Once you determine the skin problems you want to address, a board-certified cosmetic surgeon with proper training in laser resurfacing can ensure you are getting the correct laser treatment. Many people believe laser resurfacing is unsafe for people with darker skin tones since lasers carry a high risk for cell damage or discoloration. Erbium lasers may be an option for Hispanic, Asian or lighter-toned African-Americans since this type of laser treatment have less of a risk of discoloration. 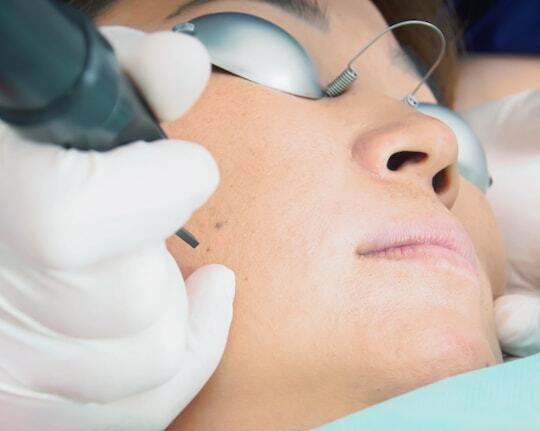 Although some laser skin resurfacing procedures can provide the expected results with one treatment, most non-ablative lasers require a series of treatments to gain the desired results. 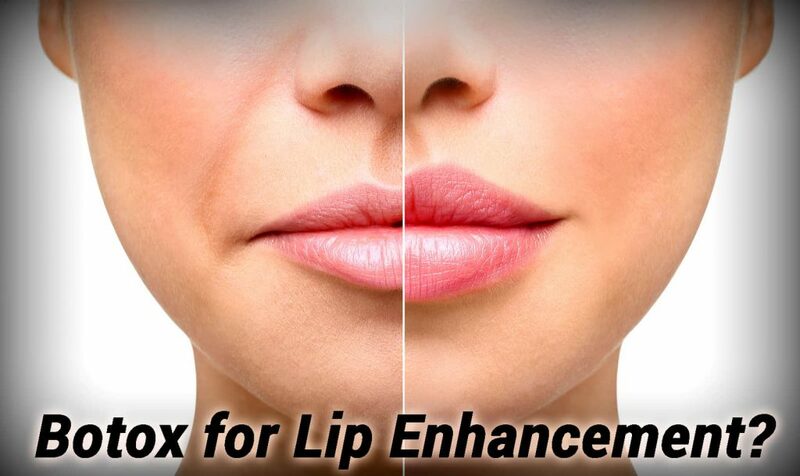 Thankfully, non-ablative treatments do not require any downtime so people are willing to undergo several treatments to gain long lasting results. Ablative treatments may take 2 to 3 weeks to heal since the skin will be red and raw and also go through a scabbing phase. Furthermore, you may have to restrict your activities such as swimming or gym workouts to avoid an infection.